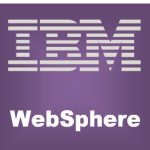 IBM WebSphere Portal | Red Skios LTD.
IBM WebSphere Portal provides a single access point to web content and applications, while delivering a differentiated and personalized experience for each user. WebSphere Portal supports workflows, content management, simplified usability and administration, open standards, security, and scalability. These capabilities provide an exceptional web experience to help customers become a social business. At Skios we are specialists in WebSphere Portal implementations and we have a large experience of successfully implementing WebSphere in a wide variety of enterprises and industries. Current integration, usability reviews and maintenance checks.